For this show, Tom is going to have a band backing him for a portion of the set. Tom will be joined by Shueh-li Ong on synth and Theremin, Dave Edwards on drums, and Dan and Patrick McGowan from The Tea Club will be contributing their talents on guitars and bass. This concert celebrates the brand-new vinyl release of Tom Brislin’s Hurry Up and Smell the Roses LP, imported in limited edition by Plane Groovy Records (UK). Also…. Roxy & Dukes will do a drink special on Sailor Jerry rum drinks! NOTE: Online pre sale ends 6PM, Wednesday, December 11th. Walk up sales (cash only) will begin 7PM the day of the show. Tom Brislin is a musician, songwriter, and producer. After worldwide touring and recording on keyboards with several notable rock and pop artists, Tom relocated to Nashville, Tennessee from his native New Jersey to write and record his debut solo album, Hurry Up and Smell the Roses. The album, which Brislin describes as “Cinematic Pop”, was released in Fall 2012. Hurry Up and Smell the Roses was written, produced, performed, and recorded by Brislin. The album features guest contributions from guitarist and platinum songwriter Clint Lagerberg, vocalist Annie Haslam of Renaissance, and Theremin synthesist Shueh-li Ong. Influenced by his older siblings’ classic rock record collections, his parents’ love of jazz and classical music, and his own discovery of synth-laden pop, Brislin would eventually find himself performing in all of these settings. He has toured and recorded with Yes, Meat Loaf, Debbie Harry, Renaissance, Camel, Glen Burtnik, Francis Dunnery, and was the founder, lead singer and songwriter for the band Spiraling. The Tea Club is a band from New Jersey. 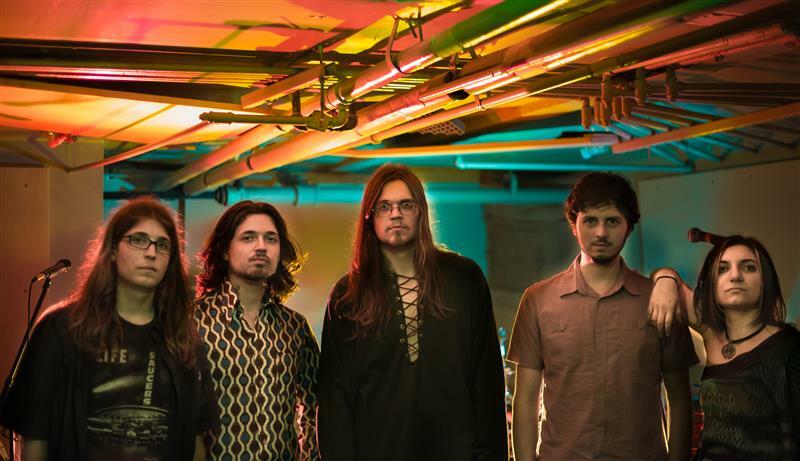 The band consists of Patrick McGowan (vocals/guitar), Dan McGowan (vocals/guitar), Joe Rizzolo (drums), Jamie Wolff (bass/vocals), and Renee Pestritto (keyboards/flute/vocals). The Tea Club was formed in 2003. Between the inception and 2007, they made several recordings, one of which attracted the attention of producer Tim Gilles (Taking Back Sunday, Thursday, The Fiendz). Tim produced, recorded and mixed their first full length album at his studio in Jersey City, Big Blue Meenie Studios. The Tea Club’s first album, General Winter’s Secret Museum, was released in July 2008. The album included original artwork by Dan and Patrick McGowan. The album cover was a painting done by artist Kendra DeSimone. After briefly touring General Winter’s Secret Museum along the East Coast, The Tea Club returned to Big Blue Meenie Studios to record their second album in the Fall of 2009. 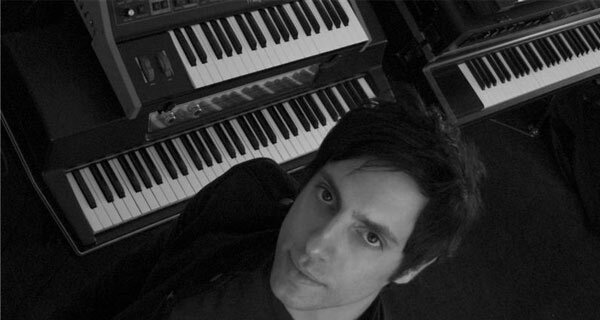 The album was again produced by Tim Gilles, and featured guest keyboardist Tom Brislin. The Tea Club released their second album Rabbit on October 9th 2010. Like General Winter’s Secret Museum, the album cover was painted by Kendra DeSimone and featured original artwork by Dan and Patrick McGowan. Rabbit was met with very positive reviews. The Organ ‘zine called Rabbit “excellent” and praised The Tea Club for being a band that is ”not afraid to nail their colours firmly to their mast and fly directly in to the face of fashion.” Indie Music Reviewer said that Rabbit ”can appease any listener of just about any genre,” giving the album 5 out of 5 stars. They spent the rest of 2010 and the majority of 2011 playing many shows along the east coast, including the ProgDay festival in North Carolina. Reviews and articles about the band were featured in publications such as Metro Philly, Indie Music Reviewer, altprogcore, Origivation, and JUMP. The band also released several homemade music videos for songs from the Rabbit album. They ended the year 2011 by playing an acoustic show opening for Jimmy Gnecco of the band Ours at the North Star Bar in Philadelphia. In early 2012, The Tea Club once again returned to Big Blue Meenie Studios to record their third album with producer Tim Gilles. Following these recording sessions, The Tea Club were asked to open for Beardfish on their mini-tour of the United States in May 2012. On May 18th, 2013, The Tea Club performed at the Terra Incognita Festival in Quebec City, Canada. This was the band’s first live appearance outside of the USA. The band is currently touring the Northeast United States in support of Quickly Quickly Quickly.